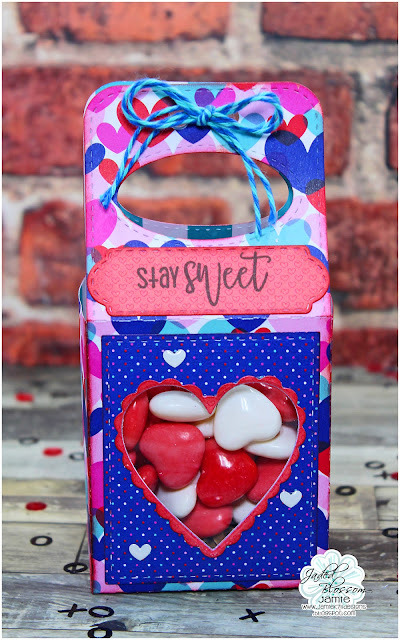 Jamie here with a treat using this month's spotlight set Got Candy?! I filled the Gable Box Die with some Gobstopper candy and added a sentiment from Got Candy? to a Mini Tag Die 2. For the front I used Valentine Dies to create the window and covered the hole with some acetate. Aww that is a really cute treat. I love the heart window!! This is super sweet, I love your treat box!